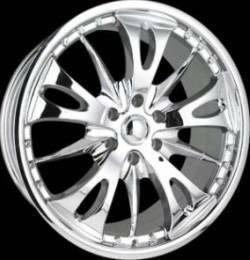 Discussion in 'Explorer Related Polls' started by Saleen_SR71, December 28, 2004.
which rims should i get(out of these)? tire size question... i remember someone telling me something about the tires (i will use 265/35R22 as an example)... like 265 is the footprint of the tire, and the 35 would be the % of 265 that would be the side wall of the tire... is this correct? I prefer the first ones, the TRK...i don't like the oval holes in the other rims. Clean-cut straight spokes are my preference. well i jus voted for the trk's but the bsa's as long as those are 22's i think i'd get them instead. should've looked better before i chose. Any of them would look good, but I like the TRK or Kaiser, and yes the 35 is a % of 265 for the sidewall. Good luck with your choice. I like all of them except the sport metal but leaning towards the first one, TRK. oh man... im really dissapointed... i mean i had my heard set on the TRK's today, so i go out to 2 rim shops to see if they could get them, and i get an email back from a company that sells them only to find out that the bolt pattern is exposed! so it looks like the picture i posted afterwards(ADR Desire) now im furious about this! i mean they should of just had a bolt pattern on the rim instead of a clean look on it! well now im going to go back to looking at rims to see if theres another one i like more than the BSA's (probably what ill end up getting if i cant get a picture of the TRK with my bolt pattern just to see how it will look)..